Ten years ago, I was at a comic convention and sat in on a screening of Hero Tomorrow. Hero Tomorrow is still one of the most original and brilliant superhero films that I know of. 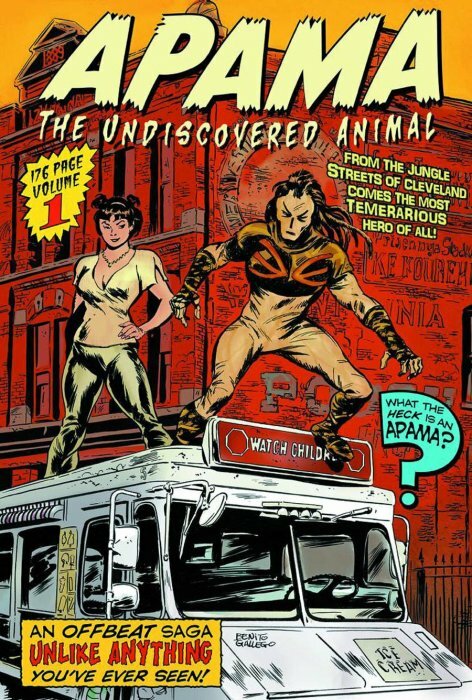 Hero Tomorrow told the origins of Apama, The Undiscovered Animal. Since then, the Apama-verse and fanbase have done nothing but grown. I want to thank producer, director, writer, documentarian and author – Ted Sikora, for taking time to talk with us. Eric: In today’s superhero landscape, Apama is a truly original take on the hero genre – what was the inspiration for him? Ted: I’ve always been this gigantic Spider-Man fan. Peter Parker was so relatable. The only thing that keeps Peter from being a true everyman is he’s probably the most brilliant person in the building. Milo Miller (co-writer) and I wanted a character that felt like the dude you’d go bowling with. Ilyia drives an ice cream truck for a living, and he’s sort of based on guys I used to change tires with at my Dad’s shop. His decisions sometimes are painfully wrong, but at the same time we know his heart’s in the right place. And the Apama-hero part of the equation is this ferocious animal spirit that doesn’t exactly mesh wit Ilyia’s Lebowski-esque disposition. 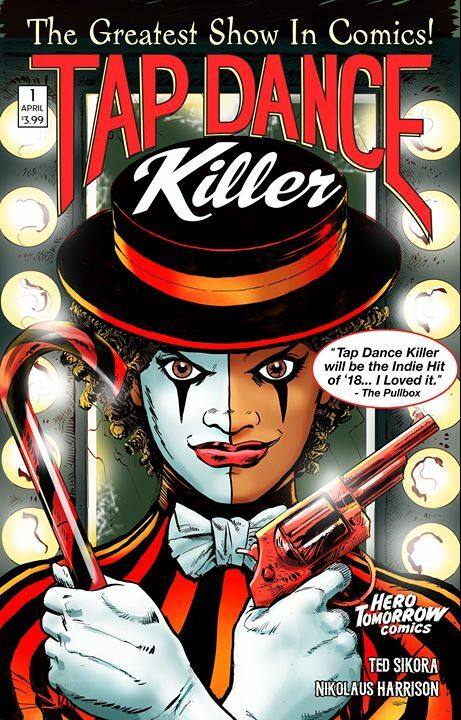 Eric: Can you tell our readers about Tap Dance Killer, the next series in the Apama-verse? Ted: The main characters in this series are an oddball spinoff of a horror-show musical for which I wrote the libretto and story back in the 90s. The musical was titled Nothing Like Vaudeville, and it’s about a runaway freak who clashes with bizarre mob violence in the 1920s. In the new comic Nikki St Clair is this really sweet, extremely talented triple-threat actress. She is cast in a horror show musical as the Tap Dance Killer, but then finds herself unable to let go of the role. She takes to the streets dealing damage and death with a Fosse-like theatrical flair. We’ve been describing it as Punisher meets Rocky Horror. Eric: It has been ten years since Hero Tomorrow debuted, how has your vision for Apama and his supporting cast changed since then? Ted: For those that aren’t familiar with the film it’s important to understand that the worlds of Hero Tomorrow and Apama The Undiscovered Animal are completely independent. 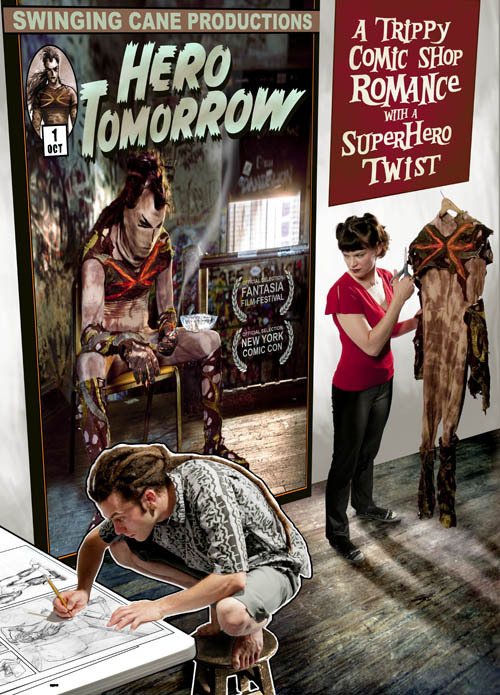 Hero Tomorrow is about a struggling writer/artist trying to get his superhero idea, Apama, published. The comic series Apama is the book that would have been in his head. As we’re creating characters in the Apama comic book we often take supporting characters (or actor likenesses) from the film Hero Tomorrow and give them doppleganger roles in the Apama. So it’s always changing, and the further the comic goes the more bizarre little Easter eggs show up in the Hero Tomorrow film. We even named our publishing company Hero Tomorrow Comics. Eric: Nikolaus Harrison (the artist on TDK) has been able to skillfully synthesize his very golden-age style and the Apamaverse amalgam of retro feel and post-modern complexity – how did you two connect? Ted: We put a search out for two artists for two different projects. 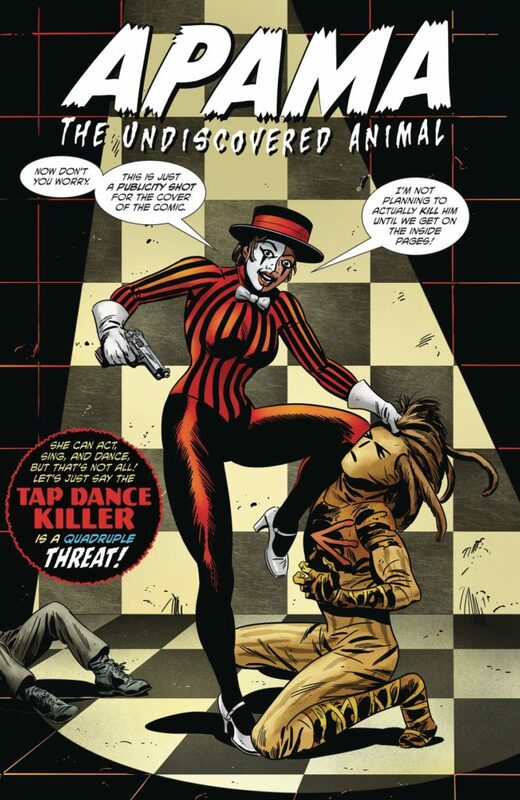 One of course was Tap Dance Killer, the other was Bloom which is the origin story of Apama’s nemesis Regina. Over two-hundred artists from around the globe expressed interest, and Nikolaus originally was hoping to land the Bloom gig. He just narrowly missed that one, and I asked him to do some tests for TDK, and he nailed it. He’s got a terrific eye for action and emotion; and he makes the characters move and fight in really dynamic ways. Eric: What is coming up for the Apamaverse in 2018? For Hero Tomorrow Comics? Ted: Apama is being released in single issues for the first time. We’re really excited about this because, coming from the film side, we didn’t role things out conventionally. We did a movie before the comic; then we did digital-only single issues; then the printed trade before printed single issues. We decided to finally put the horse before the cart. All the Apama issues are being remastered and released monthly for a year which will catch everything up and set things right for the future. Eric: Shameless self-promotion time – What else does Ted Sikora have cooking? Ted: With Apama, Tap Dance Killer, and Bloom we’re pretty much at full capacity, but we do have our eye on developing this shared universe into a moving picture project at some point; and the musical from which Tap Dance Killer was spawned, Nothing Like Vaudeville, will be coming out as a new cast album within the year hopefully. Eric: Once again, thank you taking time to talk to us and our readers today.